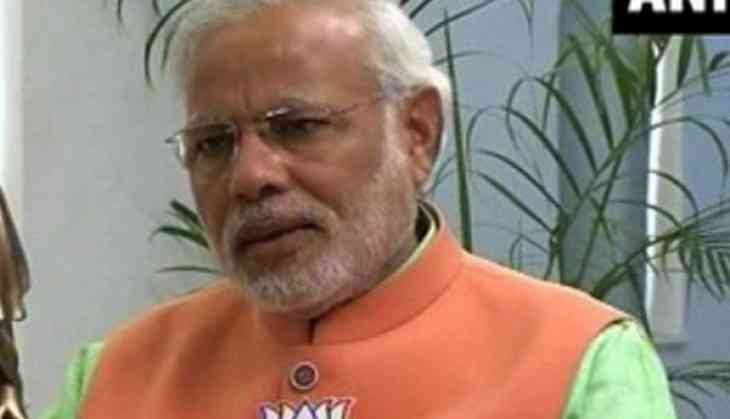 Prime Minister Narendra Modi on Friday congratulated all those who won the Rajya Sabha elections in six states. "Congratulations to all those elected to the Rajya Sabha from various states and best wishes for their Parliamentary career," the Prime Minister tweeted. The Prime Minister also hoped the elected parliamentarians effectively voice the aspirations of the people they will represent. The biennial polls on Friday elected representatives for 58 Rajya Sabha seats to be vacated in April. As many as 33 candidates from 10 states have been unanimously elected, and representatives to remaining 25 seats in six states -- Uttar Pradesh, West Bengal, Karnataka, Jharkhand, Chhattisgarh and Telangana - were elected earlier today. The BJP won nine out of the 10 seats in Uttar Pradesh and Samajwadi Party's Jaya Bachchan managed to bag one seat. In West Bengal, Congress leader Abhishek Manu Singhvi, supported by Trinamool Congress, bagged one seat while West Bengal Chief Minister Mamata Banerjee led party secured four seats. BJP general secretary Saroj Pandey was in Chattisgarh declared elected to the Upper House. She defeated Congress candidate Lekhram Sahu in a direct contest. In Kerala, Janata Dal leader MP Veerendra Kumar was elected with 89 votes, beating the Congress' D Babu Prasad. In Karnataka, BJP candidate Rajeev Chandershekhar was declared elected to the Upper House while in Telangana three leaders of the Telangana Rashtra Samiti (TRS), including B Prakash, J Santosh Kumar and AB Lingaiah Yadav, were elected. In Jharkhand, Dheeraj Sahu from Congress and the BJP's Sameer Oraon bagged one seat each.